Kevin Brady, Of Counsel, Redgrave LLP has advised clients across a wide range of industries involving a myriad of topics such as eDiscovery, information governance, privacy, and data security. He has extensive experience representing clients in complex corporate, commercial, and products liability litigation in both federal and state courts. He has served as Special Master in numerous proceedings, trusted to provide fair, quick, and impartial guidance and decisions. Kevin lectures and publishes extensively in the areas of eDiscovery, records management, privacy, data security, attorney competence, and legal ethics. Kevin serves as Chair of the Steering Committee of The Sedona Conference® Working Group on Electronic Document Retention and Production (WG1) and on the BNA Board of Advisors of Digital Discovery and Electronic Evidence. 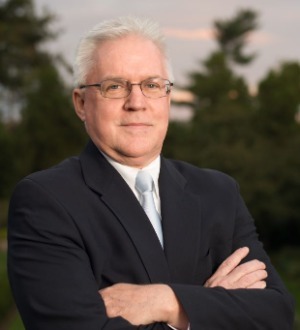 In addition, he has served as Co-Chair of the Georgetown University Law Center’s Advisory Board for the Advanced eDiscovery Institute and The eDiscovery Academy and as Co-Chair of the Delaware Supreme Court’s Commission on Law and Technology. Kevin is a member of the Ad Hoc Committee for Electronic Discovery of the United States District Court for the District of Delaware and is a founding member of the Richard K. Herrmann Technology Inn of Court, Wilmington, Delaware. For several years, Kevin has been ranked in Band 2 of Chambers and Partners’ annual national rankings in the field of Litigation: eDiscovery. Kevin was selected for inclusion as 2014 Lawyer of the Year for Information Technology Law in The Best Lawyers in America. He also was the recipient of the 2013 Law Technology News’ Champion of Technology Award. Prior to joining Redgrave LLP, Kevin was a Partner with Eckert Seamans Cherin & Mellott, LLC, Connolly Bove Lodge & Hurtz LLP, and Counsel at Skadden, Arps, Slate, Meagher & Flom LLP.